In the Southern Hemisphere it is the season of the waxing dark, post-Summer Solstice; and in the Northern Hemisphere it is the season of the waxing light, post-Winter Solstice. At this time in Earth’s annual orbit, which is our everyday sacred journey, Earth makes the post-Solstice transition, crossing the midpoint (the “cross-quarter”) between Solstice and Equinox on February 3rd at 21:12 “Universal Time” (as it is named). All planetary times for this Moment may be found at archaeoastronomy.com. Old European traditions often name these Moments as Lammas and Imbolc respectively, though those names could be varied to Late Summer perhaps, and Early Spring perhaps. 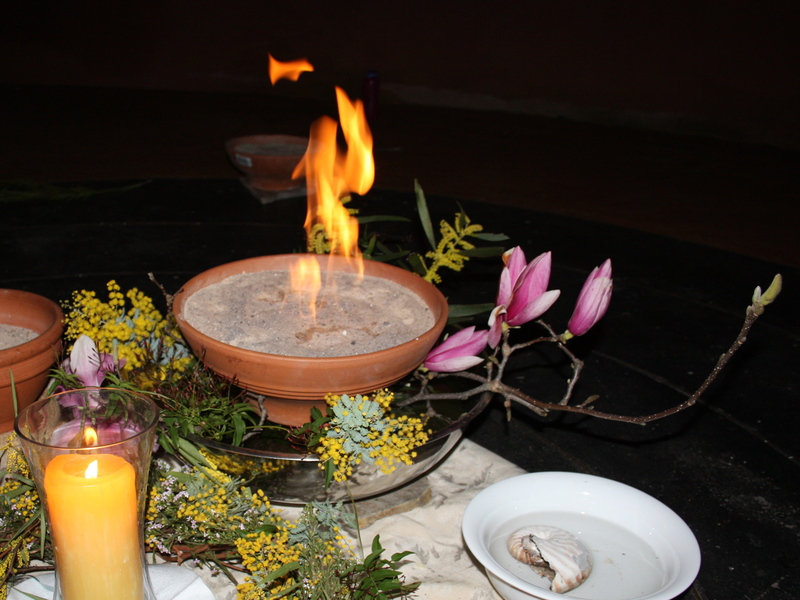 Many around the globe will celebrate Lammas/Imbolc on the traditional date of 1st/2nd February, and some on the actual Moment, and some at a time when the season feels right, and some when it can be fitted into tick-tock time. And there are other cultural variations of celebrating this transition of our Planet’s orbit around Sun, and the Poetry we humans create with it, conversing with Her Creativity. 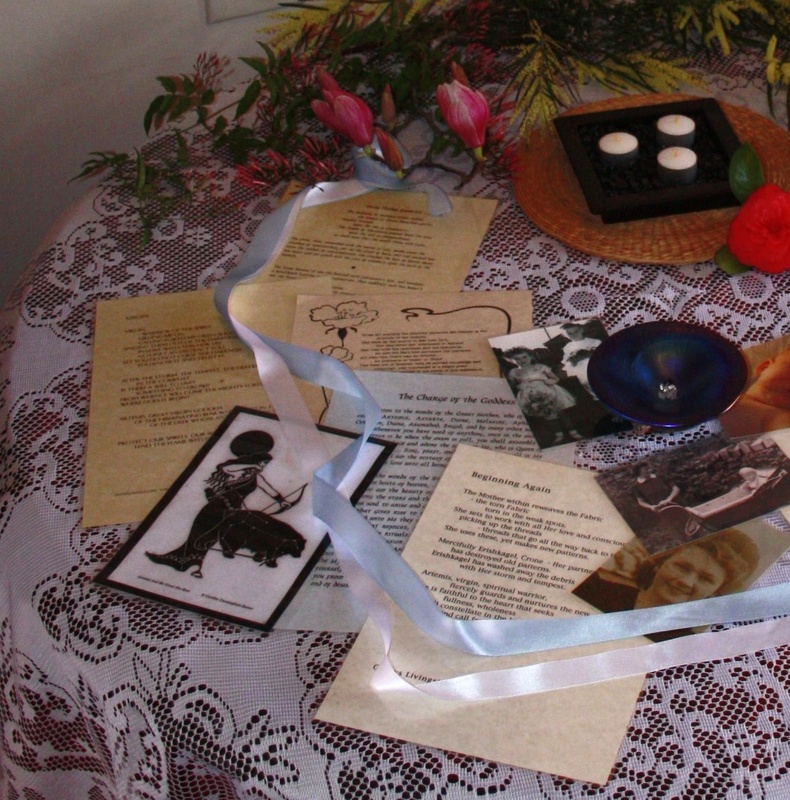 Lammas and Imbolc meditations are on the PaGaian Cosmology Meditations CDs and are also available individually in digital form at that link (scroll down). Some Lammas and Imbolc story may be found in Appendix F of PaGaian Cosmology, or if you have a paper version of the book there is an Index for references throughout. These Seasonal Moments in relationship to the whole Wheel of the Year may be found in Chapter 5. Ritual scripts are offered in Chapter 7; the on-line versions are usually a bit different from the paper versions, as they have evolve and vary. To be on the invitation list, or for notice of events, please contact me (Glenys). Please do keep me on in your course! I’m happy to say I’ve survived the first procedure, and am not so fearful about having the other leg done. I never was afraid of dying, though I’d prefer not to! I was just afraid that I’d be more physically impaired than I already am. Whew! I’m actually better, not worse. I’m rather a slow learner. Your information is very full. What I don’t want is to do things just because I think they’re cool. I need to more fully embrace things, and Then square it with my world view to find how to express it. The only thing I’m certain of is that it does belong in my world view! Which I suppose sounds silly, but it’s how I roll. Now I’ll get Christian on ya’. I’m like Ezekial, who eats the scrolls. I suppose the first thing that happens is some Divine nudging to seek out scrolls to eat. Then consumption of the information is just me chewing to get it into swallowable chunks. Down the throat of my conscience has me ruminating on what I’m swallowing until my stomach fills with the knowledge. Just as miraculously as my body spreads nutrients, the meaning of the knowledge makes it’s way to my heart and only then can it move to my gut where it’s excreted as meaningful action. Differences in hemispheres has me a little thrown. I do a lot of stuff with Pachamama Alliance whose headquatered in the Pacific time zone, not too different from my Central Standard time zone … but it takes me concerted effort to get the times right for phone conferences. Just a thing, but it Is a thing! LoL. So, north/south whole hemispheres takes a little more effort. Know that I delight in dining on your work. I’m still swallowing. I’m getting ready for Lent. These are my high Holy days. How fitting it would be if I could more fully express my feelings by inviting ancient Wisdom into my spiritual dance! I shall send you the Imbolc notes then asap – tomorrow probably.